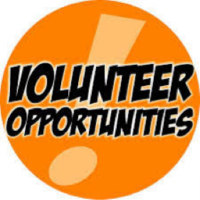 No truer are the words from the 15th century author John Heywood “Many hands make light work” and the Mediation Education Committee is looking for creative, enthusiastic and energetic volunteers to join our team and “make light work”. The Mediation Education Committee is focused on supporting existing members and attracting new members by offering quality courses as well as training, coaching and evaluator opportunities. November 2017 was the launch of the ADR Institute of Canada’s National Introductory Mediation Course , which was very well received. The committee’s mandate is to develop and support programs and bring additional dispute resolution courses to ADRBC. The benefits of being a member of the Mediation Education Committee include being part of a group of open, collaborative and supportive skilled Mediators, Coaches and Trainers. We are ideas generative and action oriented with an opportunity to see the positive results of our work support dispute resolution professionals. We meet on average of twice a month, either in person or through video conferencing, and we are looking for people who are interested in being an active team member who aspire to support the development of dispute resolution education.